Italy's Rome is a fascinating city with many great attractions, but it also has a hidden side less travelled by tourists. Rome is well-known for its many attractions and sights, including the Colosseum, the Trevi Fountain, St. Peter’s Basilica and the Pantheon. The Italian city also has a more hidden side, known well to the Romans, but not so overcrowded with visitors to the city. The following are five such places in Rome, Italy, including an unlikely cat sanctuary, an ancient lie detector which featured in a Gregory Peck and Audrey Hepburn film, an underground temple of a mysterious cult, the skull of St. Valentine and an unusual keyhole with a view. 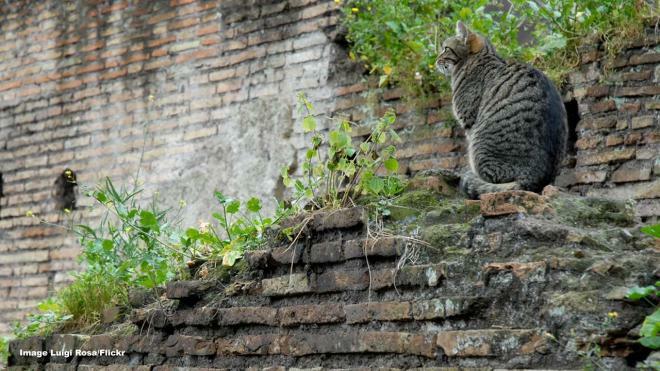 Among the ruins where Caesar saw his end, dozens of cats are having much better luck. The site is Largo di Torre Argentina, which was excavated when Mussolini began rebuilding the city in 1929. Workers found four Republican victory temples lying 20 feet under the ground. It also contains a portion of the famous Pompey portico on the steps where Julius Caesar was killed in 44 BCE. Nowadays, volunteers care for around 130 feral cats. This is one of several cat colonies in Rome. Bocca della Verità, or Mouth of Truth, is an ancient lie detector. According to superstitions, if a liar puts their hand into the mouth on the frieze, that hand will then be bitten off. The stone disc dates back to around the 1st century CE and no one is sure why it was created. Some say it is a ceremonial well cover or decoration, but others say it represents the face of a pagan god. It featured in an amusing scene in the 1953 film “Roman Holiday” with Gregory Peck and Audrey Hepburn.